Gaea the Earth, or Pandora the first woman, rises up (anodos) from the earth. She is surrounded by a pair of dancing Panes. The goat-headed daemones symbolize fertility. 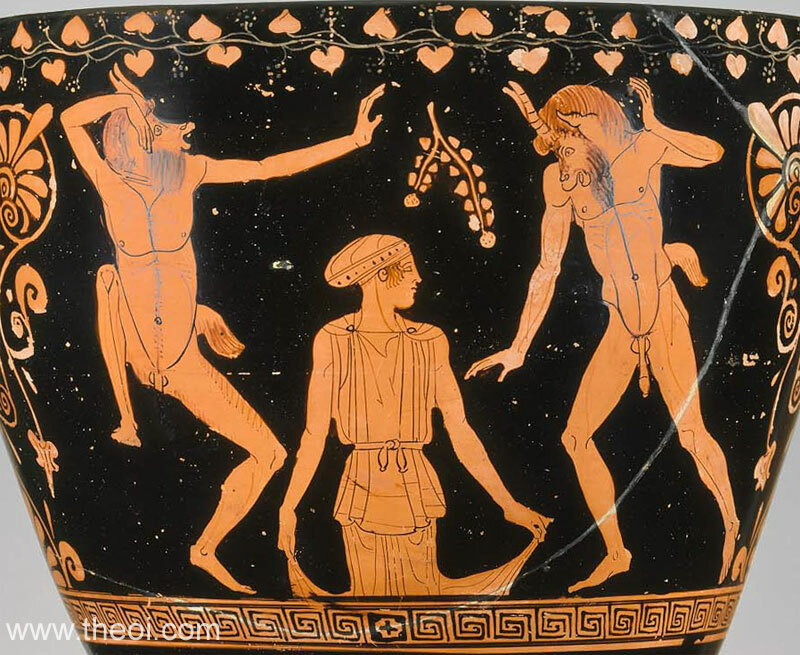 If the figure is Pandora the scene could be based on the satyr-play by Aeschylus of the same name.